Why is Swiss Chocolate Famous? Home > World Chocolates > Why is Swiss Chocolate Famous? Swiss chocolate is famous around the world, but what are the secret ingredients and mysterious processes that make it so well-known and loved? From around 1819 until the present day, Swiss chocolate making has been recognised as a world standard which other countries can only dream of attaining. It all began in 1819, when François Louis Callier, opened the first chocolate factory in Switzerland. By 1857 Swiss farmers and developers had managed to promote the growth of cocoa trees in Ghana, Africa which is under their colonial control. Ghana still remains one of the foremost cocoa bean producers in the world. And by 1875, after eight years of continuous research and experimentation, Daniel Peter, a Swiss citizen had created the first chocolate that contained a high proportion of milk, using one of Switzerland’s most easily available ingredients – the rich creamy milk produced by Swiss pastureland. Then the names of the great creators and innovators in Swiss chocolate history appear on the scene: Philippe Suchard became an apprentice confectioner in 1815, and opened his own shop in 1825 and in the following year Jacques Henri Nestle came into the business, linking his condensed milk to Daniel Peter’s chocolate to create the very creamy product that is now synonymous with Swiss chocolate. 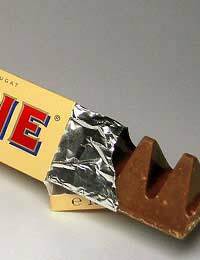 By 1868, Jean Tobler was establishing his own famous Toblerone line of confectionary and in 1893 the firm established by Charles Miller and Karl Bernhardt was taken over by the Lindt and Springli company to become Switzerland’s biggest chocolate manufacturer. So what are the secrets that make Swiss chocolate so utterly luxurious and unique? The first secret lies in those cocoa beans mentioned earlier: equatorial Africa produces cocoa beans of very high quality, and then Swiss chocolate manufacturers take the beans and produce from them a chocolate that has more cocoa bean and less cocoa butter than other chocolates – up to 80% in the case of Neuchatel, for example. Then there’s the milk – pasture-produced by specially bred cows that have a high quality of mild richness in their milk which adds to the smoothness of the chocolate. In addition, the velvety taste and texture of Swiss chocolate comes from the extra conching given to most products – the average period of conching, which means smoothing between granite rollers, is 75 hours and can be up to 150 hours. This long slow rolling and folding allows the liquid chocolate to be aerated which removes the bitterness of chocolate granules and encourages a tiny bloom of cocoa butter to form around each particle of cocoa which means the chocolate becomes homogeneous and silky on the tongue. Time also plays a part in the manufacturing process - many Swiss chocolatiers make white and milk chocolate that is then used immediately, on the other hand, they may require the dark chocolate they make to be aged for up to six months, like a good cheese, to bring out its complex flavours. The final secret ingredient of Swiss chocolate manufacture is one that can’t be transported or copied – it’s the dry and unpolluted Swiss air which gives a special quality to the production process, by not adding extra moisture to the mixture while it’s being conched, resulting in a richer flavour.